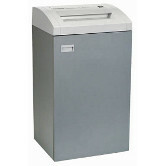 Fellowes Powershred C-120C is designed for small office use. 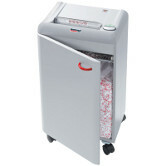 It is powered by a thermally protected motor and can shred 12-14 sheets of 20-pound paper at a time. 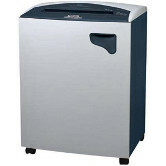 Fellowes Powershred Model C-220 Strip Cut paper shredder can shred up to 18-20 sheets of 20-pound paper. It cuts the paper into strips that are 7/32 inches. 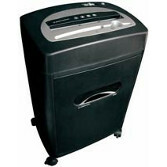 Fellowes Powershred Model C-220C paper shredder can shred up to 12-14 sheets of 20-pound paper. This is a cross cut shredder that will shred your paper into 5/32 inch x 1 inch confetti particles at the speed of 20 feet per minute. Fellowes Powershred C-320 can shred 26-28 sheets of standard 20-pound paper at a time. 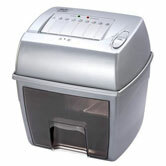 This strip cut paper shredder is ideal for larger offices but will work great for smaller settings. 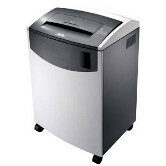 Fellowes Powershred Model C-320C Cross Cut paper shredder can shred up to 14-16 sheets of 20-pound paper. 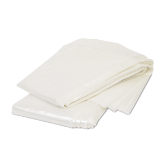 It cuts the paper into 5/32 inches x 1-1/8 inches of confetti particles. 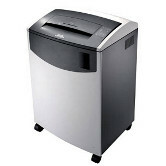 Fellowes Powershred C-380 can shred 26-28 sheets of standard 20-pound paper at a time. 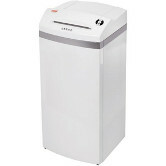 This strip cut paper shredder is ideal for a larger office setting. It comes with a Turbo Jam Release button for a faster way to get rid of those paper jams. 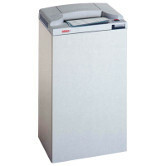 Fellowes Powershred C-380C is designed for large office use. 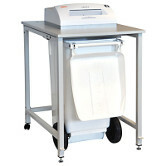 It is powered by a Heavy Duty thermally protected motor and can shred 14-16 sheets of 20-pound paper at a time. 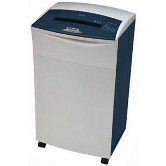 The FD 8400 SC paper shredder will shred up to 32 sheets of normal 20 pound copy paper at a time. 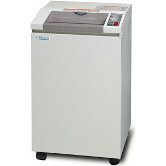 The FD 8400CC can shred up to 20 sheets of standard 20 pound paper at once. 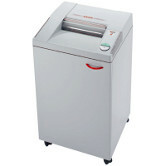 This heavy-duty cross cut paper shredder is ideal for high volume paper shredding. 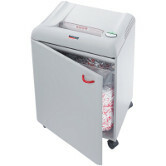 Genuine MBM paper shredder bags for the MBM 5009 paper shredder. 4 mil thick translucent plastic lets you see when bag is full. Box of 50. The Kobra 240 C4 Turbo is a multipurpose and multimedia cross cut shredder, equipped both with "TURBO BOOST" system for extra shredding capacity and with "ENERGY SMART" system with optical illuminated indicators for zero power consumption in Stand-by mode and environmental protection. The all NEW Intimus 90CC3 is lightweight and has all new advanced I-Control, silentec, 2X2, ecologic and DLS. With the high quality and high performance that Intimus provides, this unit easily outranks the competition. Your guarantee of perfect safety and privacy. The all NEW Intimus 90CC4 is lightweight and has all new advanced I-Control, silentec, 2X2, ecologic and DLS. With the high quality and high performance that Intimus provides, this unit easily outranks the competition. Your guarantee of perfect safety and privacy. This Strip Cut paper shredder features the exclusive Turbo Jam Release button to power through jams with ease. Will shred 36-38 sheets of standard 20 pound paper at a time into 7/32" strips. 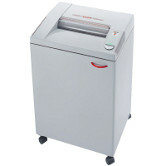 This cross cut paper shredder can shred 22-24 sheets of standard 20 pound paper at once. 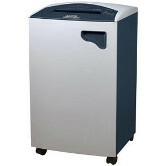 The Fellowes C-480 Strip Cut paper shredder cuts paper into 7/32" strips of paper. 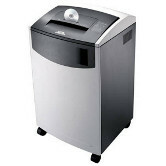 The Fellowes Powershred C-480C Cross Cut paper shredder comes with a shred size of 5/32" x 1-1/8" confetti cut shreds. The all NEW Intimus 315 has all new advanced I-Control, EcoLogic and DLS. With the high quality and high performance that Intimus provides, this unit easily outranks the competition. Your guarantee of perfect safety and privacy. 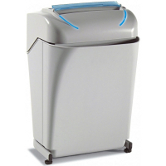 The High Security 802CC shredder from Intimus® offers uncompromising data protection with a powerhouse performance. It's efficient. It's reliable. It's Intimus.